Please fill out the inquiry below to get the current price. Picture with the scaffolding application. Picture with the scaffolding dimensions. Building isolation and other construction activities. 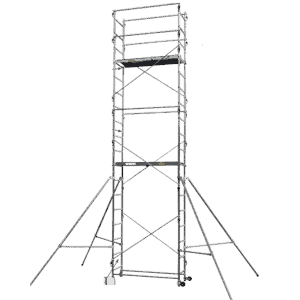 This scaffolding can be used for building constructions up to 12m high with the assistance of anchoring elements. It is primarily designed for fast repair work where facade scaffolding would not be efficient due to the need for short-term repair work. The mobile platform is built from base and superstructure. 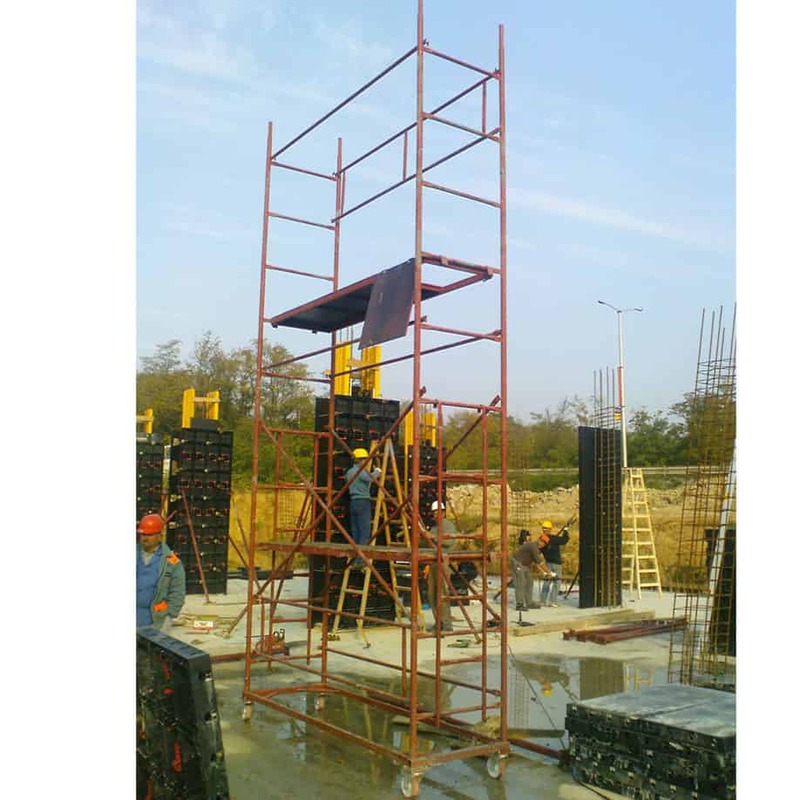 The base provides a working height of 6 m.
Every superstructure an additional 2.00 m.
The cover of the elements can be paint or hot galvanization by customer’s choice. Stable and extremely durable construction. The size of the work surface allows safe and concentrated performance of short-term repair and construction work. 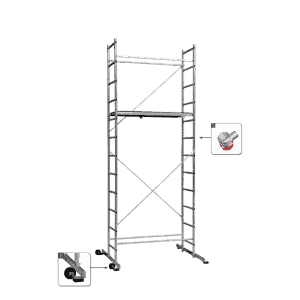 This scaffold is designed for quick and easy installation and disassembly. Upon purchase of this facility, you receive detailed installation and operating instructions. Ideal for fast repair work of buildings up to 12m high. When mounting the scaffolding over 8m, it must be anchored to the building. 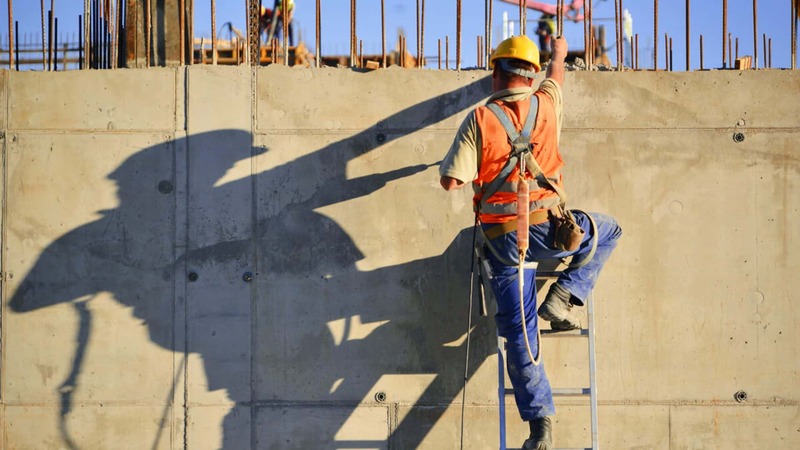 DJODI Trade Ltd. offers anchoring elements, which are also produced in Bulgaria and are designed specifically for use together with the mobile scaffolding. 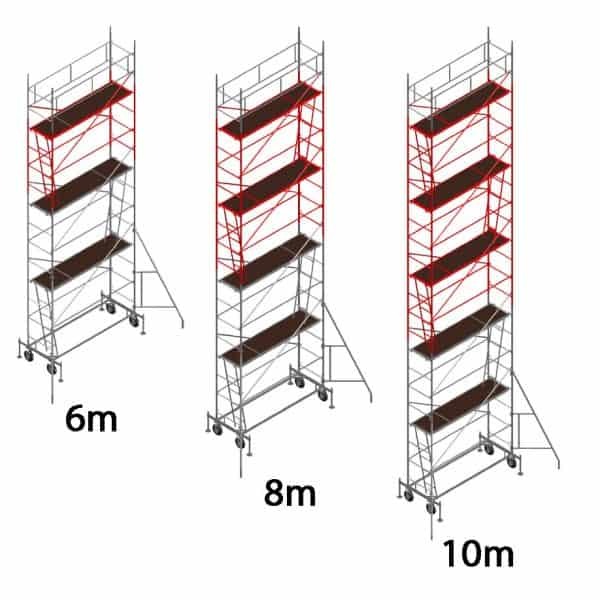 The mobile scaffolding DT 250/60 is designed for use by professional building teams that perform repair and construction work. We at DJODI Trade team recommend that the mobile scaffolding should be used as intended without further modifications. 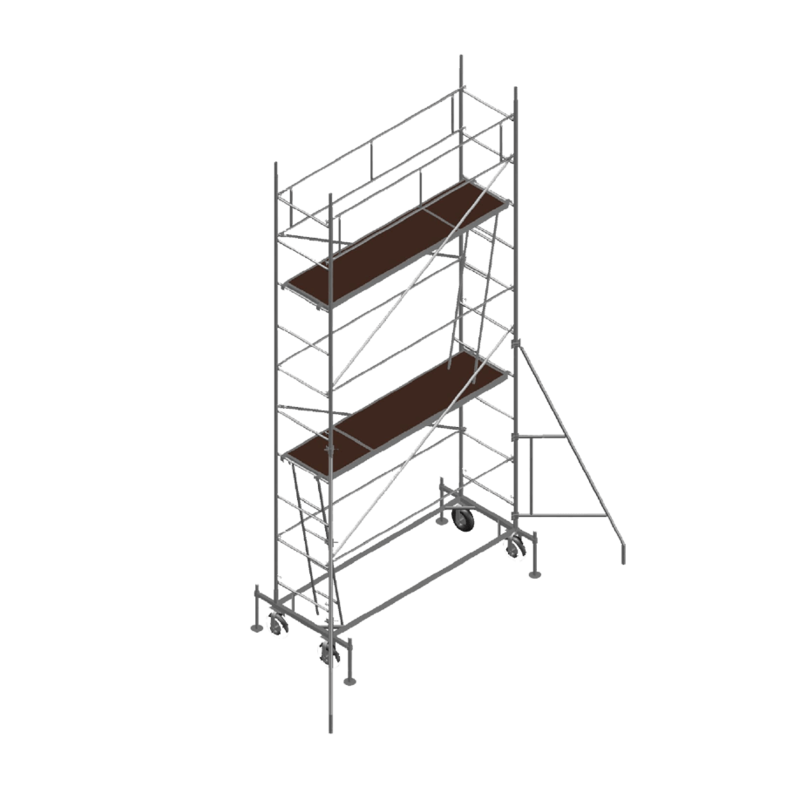 If required by the customer, it is possible to make necessary additions to the structure of the scaffolding from our factory. A pre-order must be made because the whole process of designing, approving, and implementing changes takes several weeks. Our designers look at the proposed changes and, if they are suitable and meet the requirements for safe use of the scaffold, we fail to implement them. 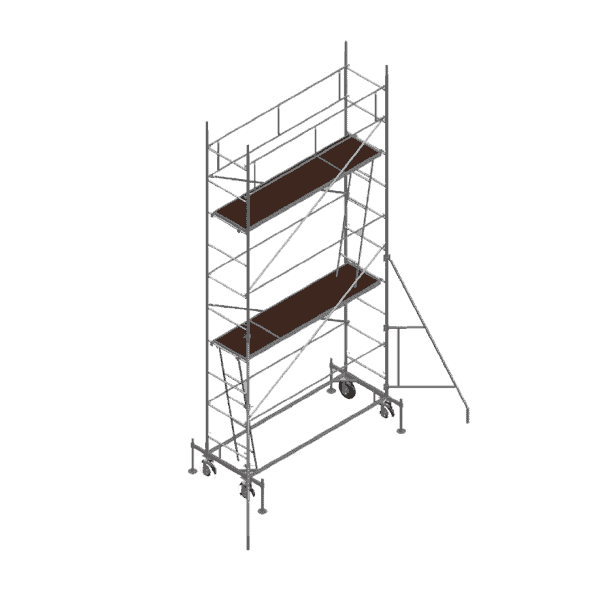 The most suitable storage site for the mobile scaffolding is in a dry closed warehouse. We recommend that it be protected from adverse weather and moisture due to the risk of corrosion. When not in use, it can be stored in a disassembled state, which will save considerable space. We at DJODI Trade Ltd recommend to use the mobile scaffolding with a safety net that will extend the life of the product. This construction facility is designed by Djodi Trade Ltd. It is designed to be fast and easy for install / dismantle. The horizontal stretch, the fixator and all the anchoring elements we offer on customer’s request are for the purpose of securing the worksite, which must be a top priority in any construction or repair work. A great advantage for users of this façade scaffold model is that it is produced in Bulgaria. 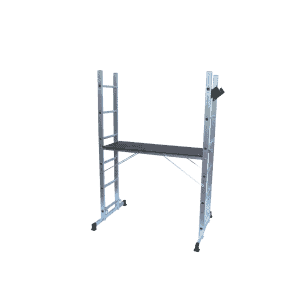 Upon request, the mobile scaffolding can be executed within a very reasonable timeframe. If any case that may arise, technical advice or assistance may be required for the initial installation of the mobile scaffolding. Mobile scaffolding DT 250/60 has a factory warranty by receiving. DJODI Trade have all the spare parts required for the product. Claims for damage to the product as a result of misconduct are not accepted. Djodi Trade Ltd advises: Please take care for your mobile scaffolding to use it for a long time! The mobile scaffolding is very suitable for construction teams that perform quick repair work.